Making the Metropolis 1.0 and 2.0 explore concepts in urban planning such as districts, public spaces, building types, sustainable design, and transportation, culminating in a large scale model. 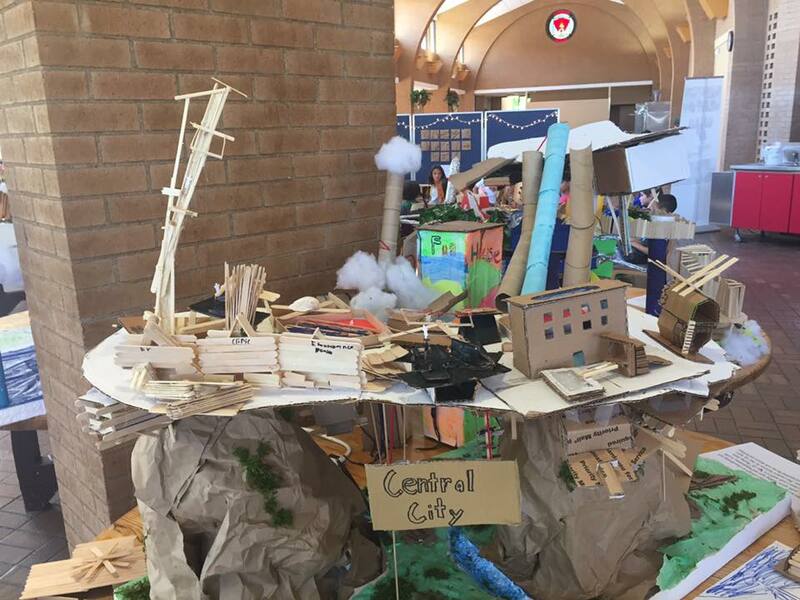 In groups, students create a backstory for their city, built a topographical site, and populate it with districts and buildings. 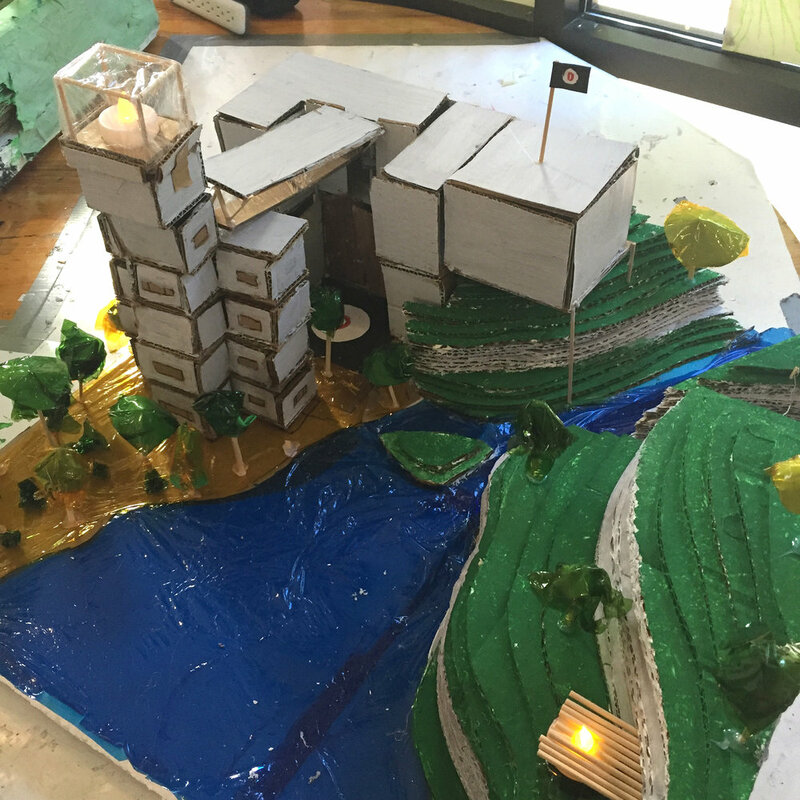 Each year, students receive a new theme to base their ideas around. 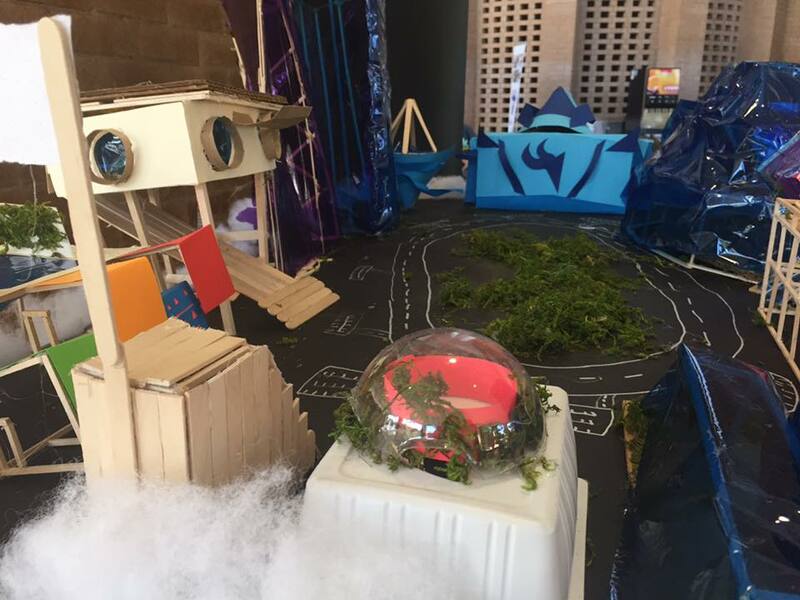 Past themes have included sustainability, outer space, under-water, cities for dragons and their riders, and sky cities. 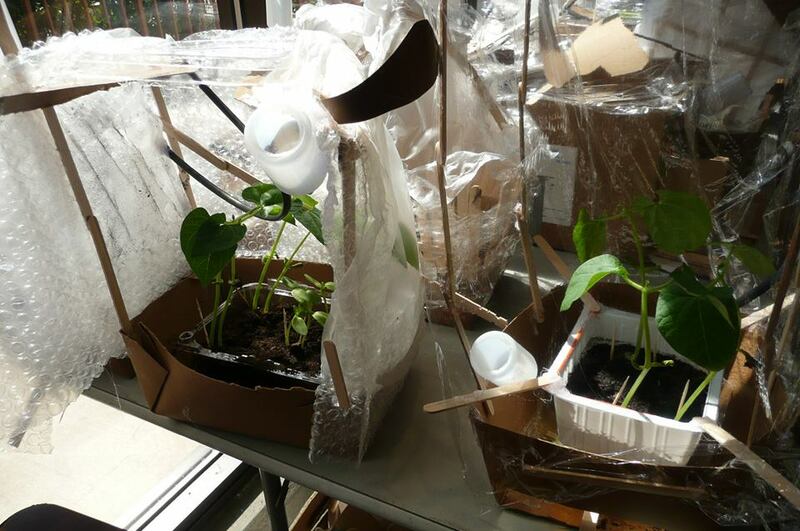 Students design a plant dwelling, containing real seeds, in order to learn concepts of plant growth, as well as the use of greenhouses and how they function. With this informa­tion they designed habitats with unique irrigation systems and greenhouse structures to allow their plants to receive water, nutrients and sunlight all in one contained design. 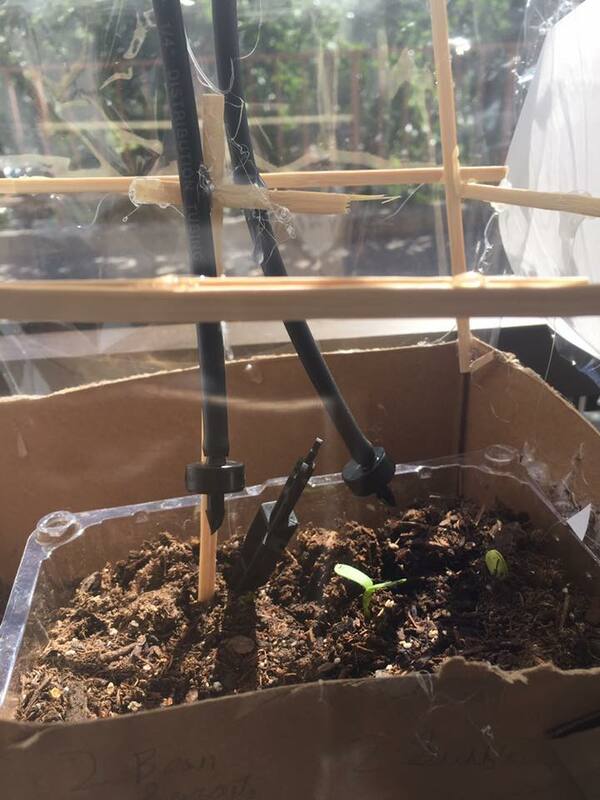 Throughout the summer they are able to water and track their plant growth as a way to see their design in action and improve and modify their structures in order to accommodate their plants’ changing needs. Designers chose a structure found in nature as a model for a shade structure as a way of using biomimicry in a man-made design. Once their design is complete, their test it outside using sundial and tracing the shadows at different times in order to show how the shade would move throughout the day. These shadow drawings provide them with a way to see their design in action as well as a template to improve their design in order to maximize the shade. Designers create a truss-inspired structure that could hold up one or more bricks using just 30 toothpicks and hot glue. They conduct trials by loading the structures with bricks and studying the models for compressive strength and lateral stability. Designers could use an additional 10 toothpicks to modify their structure after each trial. Designers were challenged to create an aerodynamic skyscraper that could survive in a wind tunnel. Using a modular design system they created a tower at least 1 foot tall and tested it in a wind tunnel in order to observed compression and tension place on the structure. The designers then revised their sky scraper based on their observations. 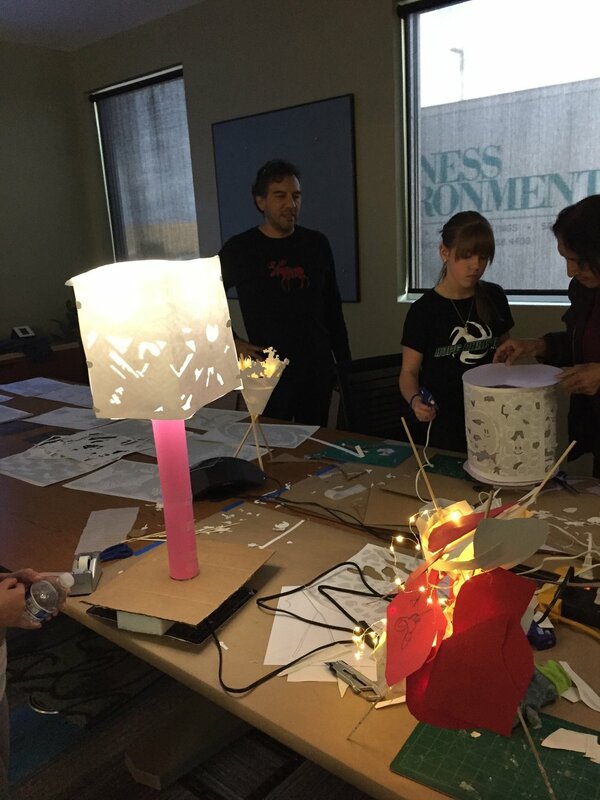 Students create a light fixture as a way to work with incorporate patterns from nature into a design. They presents with templates of macroscopic and microscopic patterns to cut out. They then use the positive and negative pieces as raw materials for a light the either sits on a table, stands on the floor, hangs from the ceiling or is mounted on the wall. This studio provides students with an introduction to how they formulate ideas and explore the creative universe of letters and characters. They then create our own fonts and alphabets using found materials as a module to create a poster for themed event. This studio allows young designers to explore several concepts in graphic design including typography, modular design and pairing images and words. 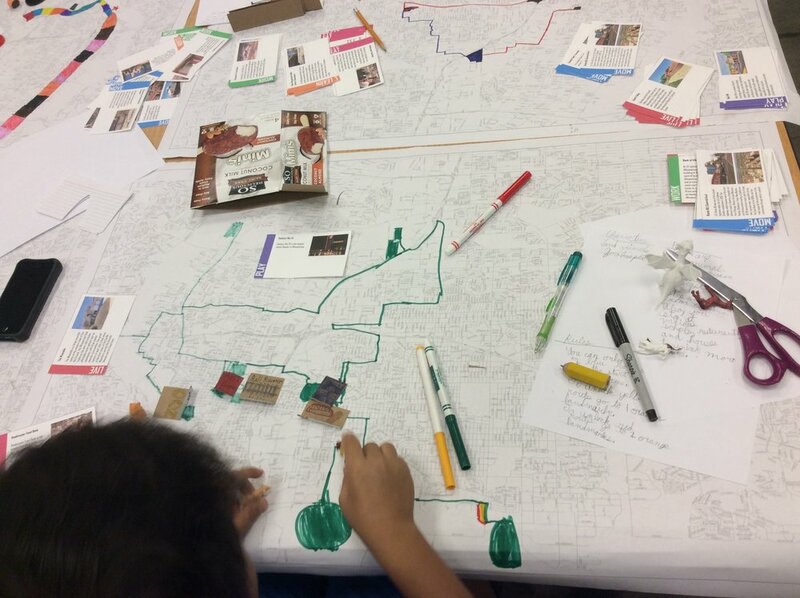 This studio involves thinking and designing like a city planner, at a scale we are all familiar with—using the city of Albuquerque as a game board. Students look at the city in its entirety figure out fun ways to help visitors and citizens both navigate our city and discover interesting, and maybe quirky, landmarks from the volcanoes on the West Mesa to the Sandia Mountains. They then design a board game including a cool game board, creating simple rules, figure out how to move and advance, create prototype game pieces, and design a box that will draw attention on any game store shelf. 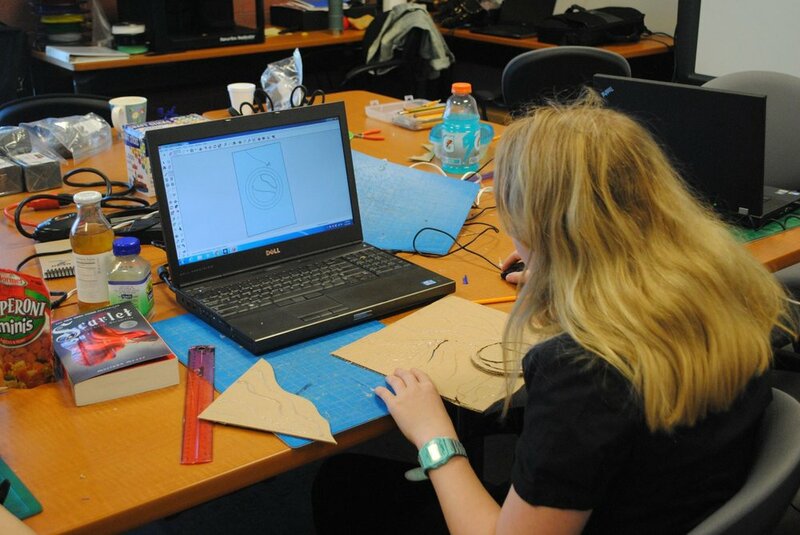 In this intensive Spring Break studio, students dive into design thinking using 3D modeling to create a real design that will help improve everyday life. 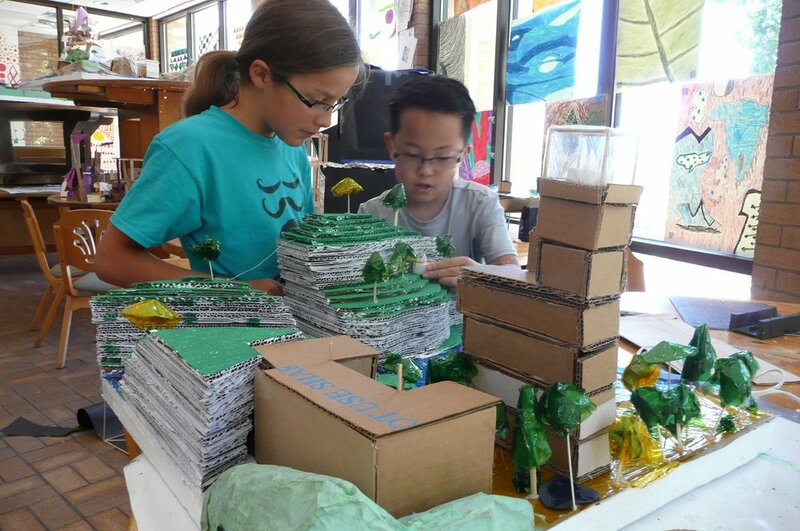 We teach young designers to solve problems using design, prototype their ideas, create digital models using Google SketchUp and 3D print their final product. Currently your school cafeteria purchases Styrofoam serving trays that are unhealthy for the environment and not sustainable. Design a reusable cafeteria tray and cutlery. Create a game or toy that teaches students mathematics using no more than 5 pieces. A student’s favorite subject is art. Design a magnetic storage system for his art supplies that fits on to a locker door. A blind classmate is going to a school dance. Design some tactile jewelry for her to wear. Design a way for students to amplify sound from a smart phone so they can listen to music together. This studio is run like a real design school! Students create a digital 3D model and a portfolio-quality 3D-printed product. They will then present their projects to a jury of designers for feedback on the Saturday following Spring Break. We will print the final designs in our office for this review so that students and parents will have a chance to view a talk about their final projects.